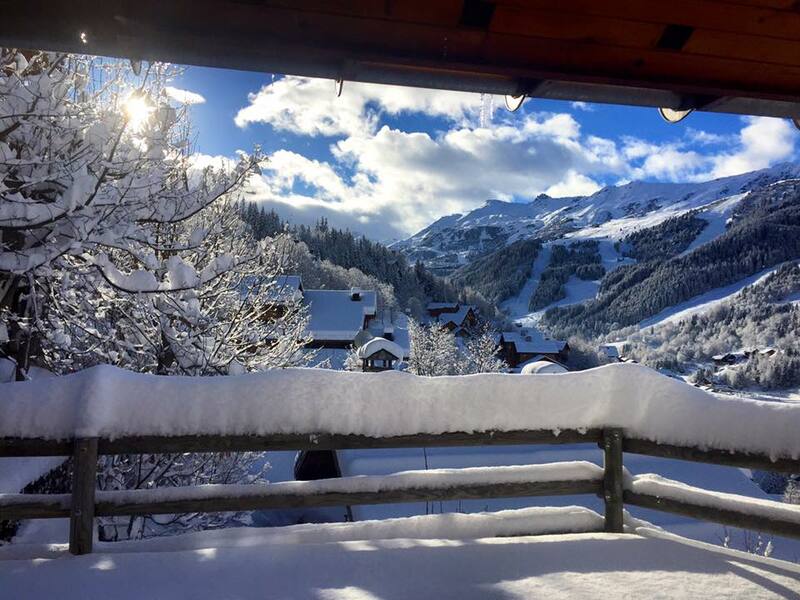 Home Blog What Ski Accommodation Is Right For You? 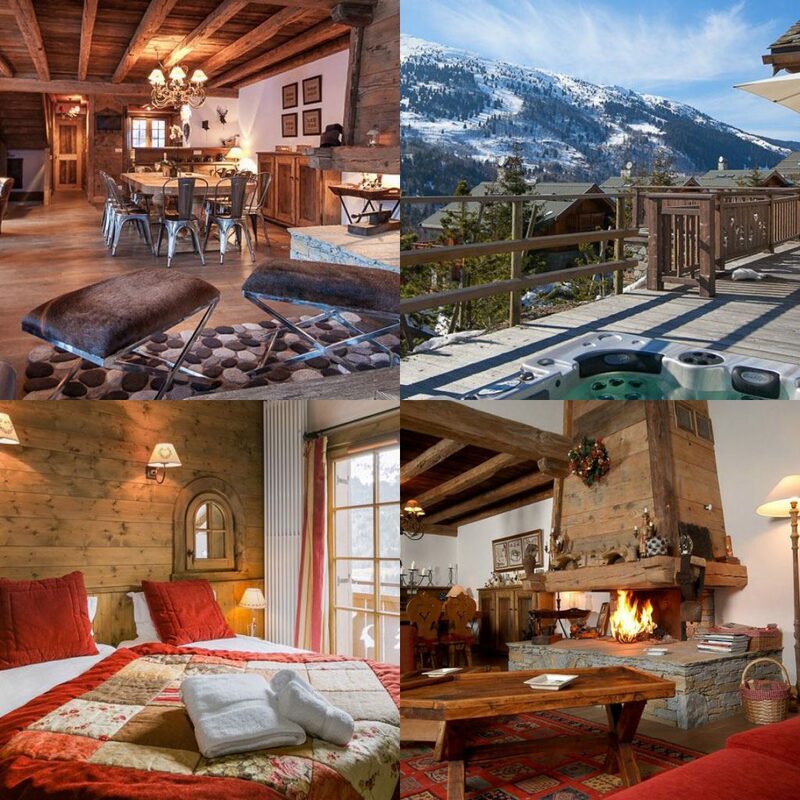 What Ski Accommodation Is Right For You? So here, to get you started, I have created this blog to help you understand what ski accommodation will best suit your needs…or if you are feeling a bit lazy, get in touch with one of our holiday experts and they can do all the hard work for you! Just don’t tell them I said that. A catered ski chalet is the ideal choice for those who are looking for a home from home experience. 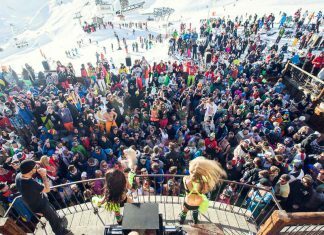 You can forget about the hassle of shopping, cooking, cleaning and solely focus on spending more time on the slopes and enjoying the apres ski! All food and wine included in the price – so it actually works out to be good value for money. All chalet hosts will of completed a catering course prior to working in resort to ensure their catering skills are up to a quality level. You will expect to enjoy hearty home-cooked food fit for anyone after a hard day on the slopes. Menus will be varied and may include local dishes as well as the more traditional UK favourites such as roasts joints, lasagna or casseroles. A selection of quality wines will also be available which will be three reds and white wines, a rose wine and champagne on arrival. 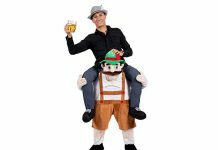 Food is plentiful on a catered chalet holiday so do not expect to lose weight and enjoy the comfort meals and wine provided… you are on holiday. Prices vary throughout the winter, depending on if you are going during school holidays or not. If you don’t have to stick to those dates, great! You will get a much better rates in early December, January and end of March. The big five resorts are always a win! 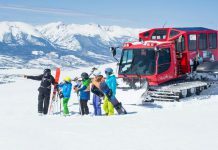 Here is some key information on each resort in Courchevel, Meribel, St Anton, Val d’Isere and Verbier … or call +44 (0)20 8877 8888 for more assistance. 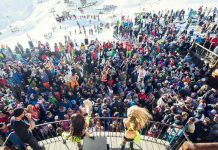 Catered chalets is ideal for groups of people who are looking to kick back and relax when it comes to the cooking, cleaning and focusing their time and energy on the slopes and in the bars. If you are a couple in a new relationship and looking to just have each other company, then I would recommend a Hotel as it give you the privacy you need at the right value. 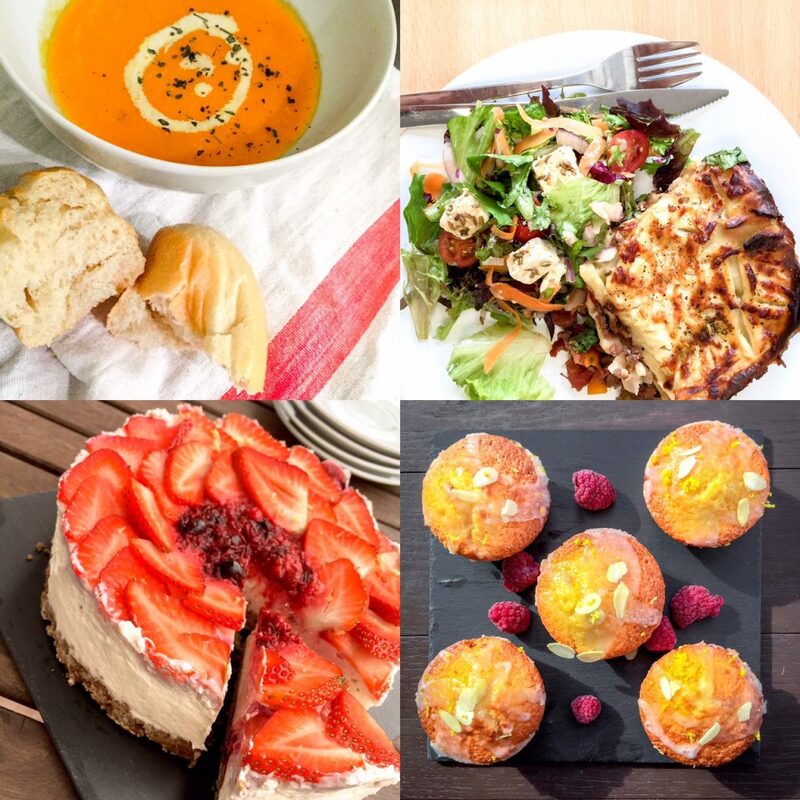 A self catered chalet means you can take control of when and what you eat giving you the ultimate flexibility of holiday cuisine. You can either reduce the cost of your holiday, or tailor it just the way you want it. 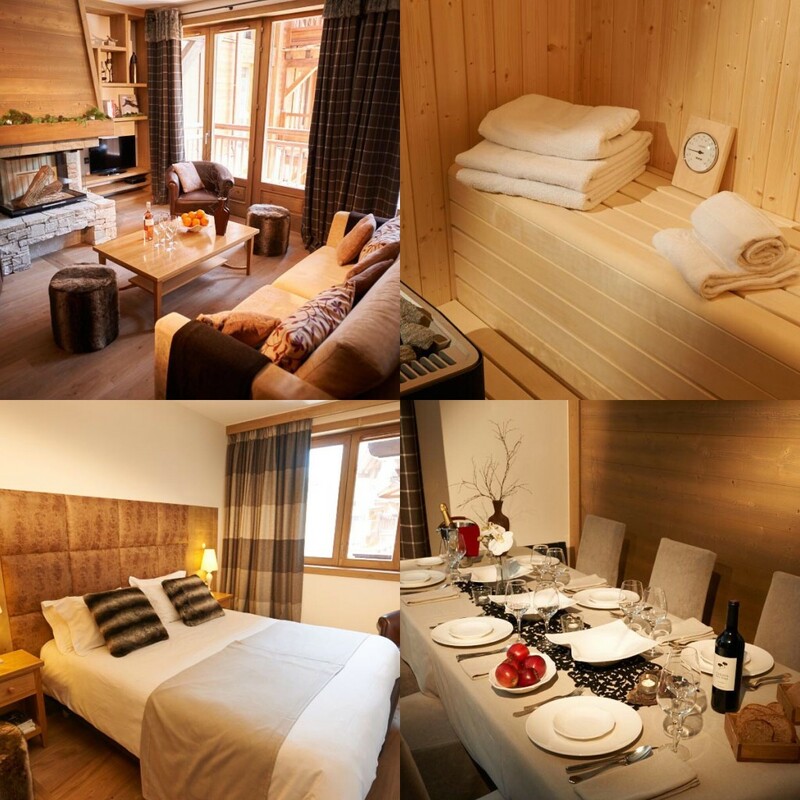 When you choose a self catered chalet, can still get assistance and resort information of the resort managers. Morning chalet cleaning in communal areas and bathrooms (not washing up). Choice to add catered meals on an ad hoc basis during your stay for a set price per person. Chalet packs with essentials such as milk, bread, juice, tea and more. Just like a catered chalet the prices will vary throughout the winter, depending on if you are going during peak times. If you are happy eating out and shopping for your own food, this can work out best value for money. But if you know your group eats and drinks a lot then I might be worth considering the catered option. Again, the big five resorts are always offering great snow and entertainment in resort! 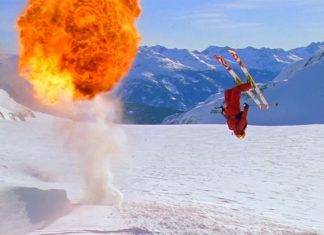 Here is some key information on each resort in Courchevel, Meribel, St Anton, Val d’Isere and Verbier . Families and small groups who enjoy cooking and each others company. It’s quite simple, it’s an apartment where you cater for yourself. Back in the 60’s/70’s ski apartments (mainly the French resorts) had a bad reputation of being small and cramped rooms. But this image has changed to the huge investments across the alps into upgrading the buildings. Powder White has just increased 42 NEW Residences across 20 resorts, including 11 new locations. 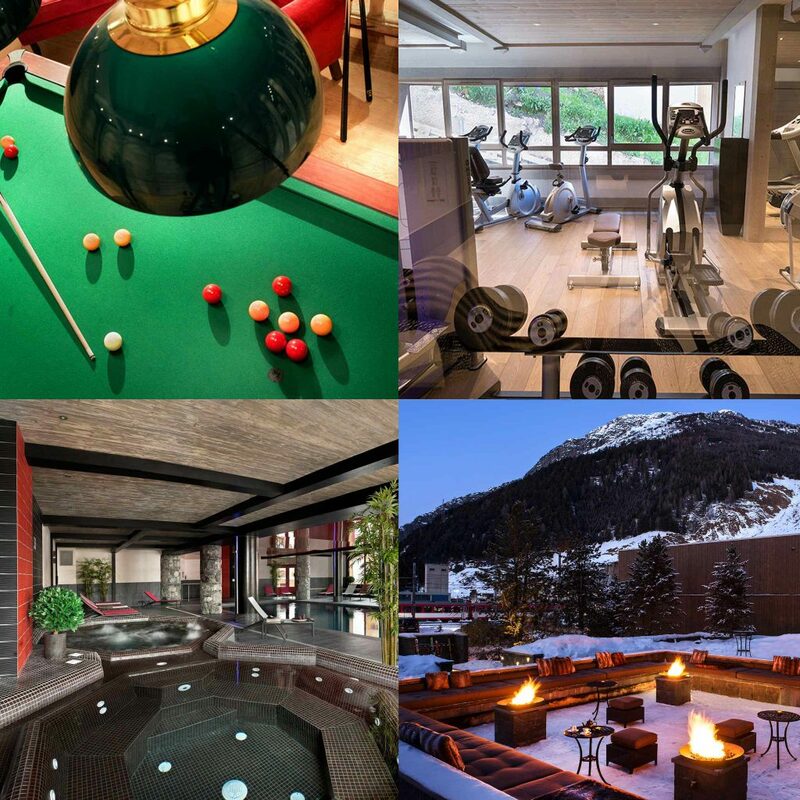 Games Rooms, Gyms, Spas and Apres Bars. 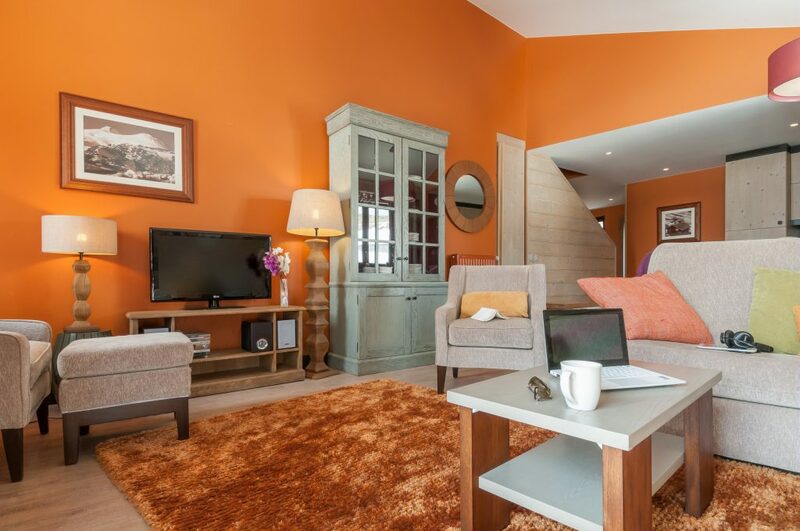 At the moment you can get up to 20% off ski apartments, this deal is running until the end of September. 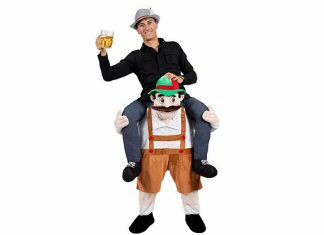 This tends to be the cheapest option for a skiing holiday if you don’t mind not venturing out to the best restaurants in the resort. With all the facilities to cook with, it is great way to enjoy your own home cooked meals and each others company after a long day skiing. 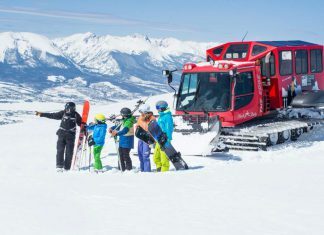 A big benefit you will find is that the majority of the self catered residences in ski resorts offer doorstep skiing and a great solution to get on the slopes without breaking the bank… See it as luxury on a budget. Apartments have been very popular with small groups and families who want to be close to the slopes and have have their own space. With a variety of apartments on offer, there really is something for everyone. 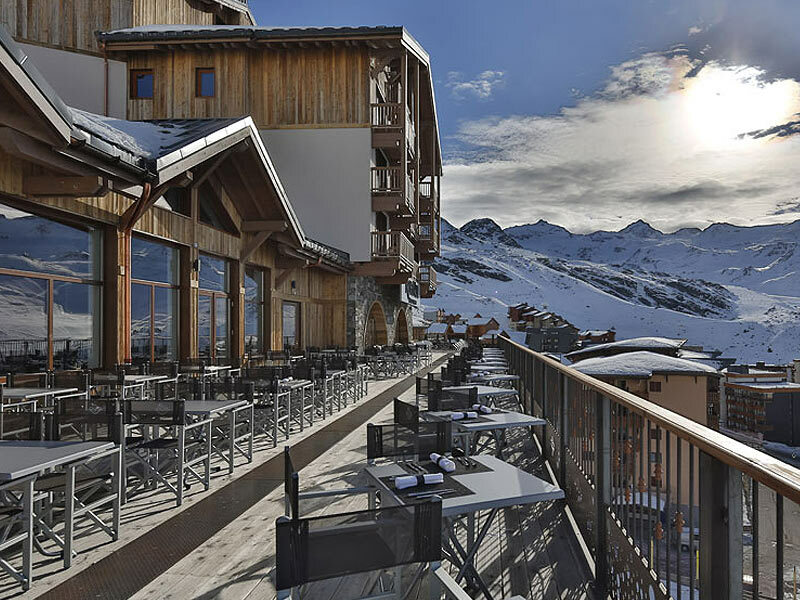 If you are looking to save money and to take full advantage of the resort offerings such as 2* Michelin starred restaurants in Val Thorens, then this is for you! Ski Hotels are simply a hotel in the mountain… You book a ski holiday hotel on a room by room basis, and depending on what the hotel offer, you can choose the board basis – either Bed and Breakfast / Half Board / Room Only. Depending on the Star Rating of the hotel, the décor and service can range from basic (2*) to utterly luxurious (5*) and there is a very strong correlation with how much you will pay. 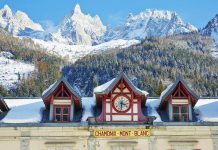 The restaurants within the hotels are of a very good standard, with a lot of Hotels in the Alps boasting Michelin stars, and in the 5* hotels there is a certain degree of formality – which may or may not suit your holiday. If you are looking for a professional service, great quality food, and a more ‘formal’ experience, then a hotel holiday is for you. Look out for hotel deals as they normally offer 7 nights for the price of 6 or give you a free meal with a booking. 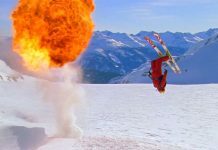 If you want to find these exclusive hotel deals, Powder White social platforms, Facebook, Instagram and Twitter will keep you and your friends in the ‘snow’. There is a huge range of hotels across the Alps and North America. 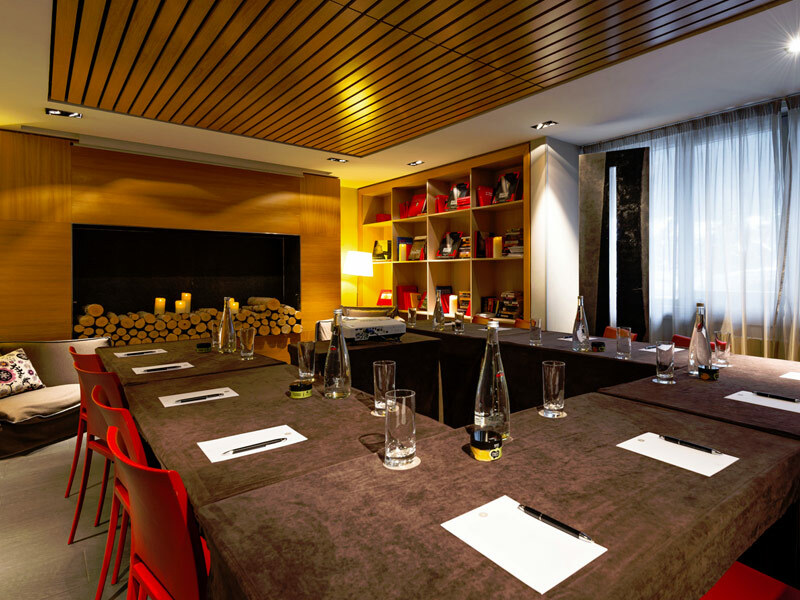 Here are some 3-5* hotels in France, Italy, Austria, Switzerland, America and Canada. 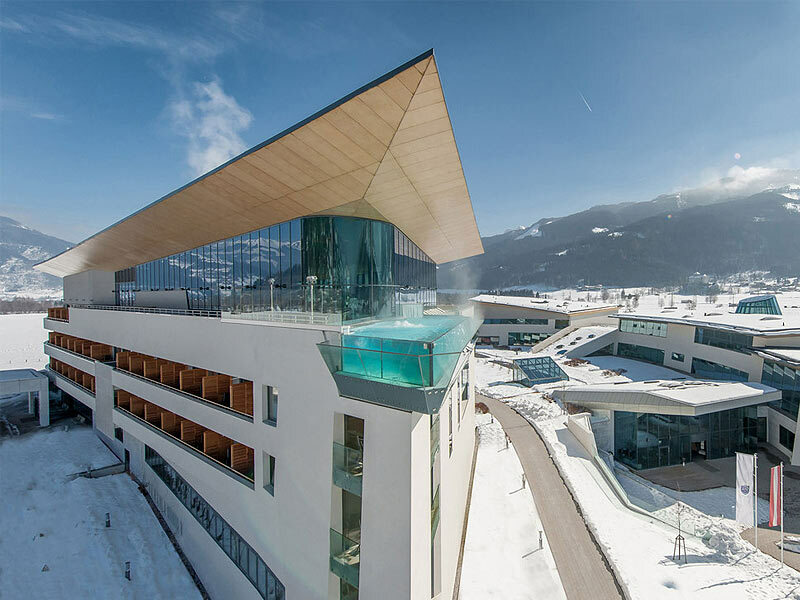 If you are looking for cultural and traditional hotels, Austria and Switzerland are the best, if you want big modern hotels, France is the one for you. However, if you want to spice it up and try something different with great powder, Canada is highly recommended. Great for couples who want romance and privacy in the snow and also for corporate groups since many of the hotels have conference facilities. Also hotels have seen a growing number of small families booking, since the family rooms are increasing in size and offering better room arrangements. So there you go. I hope it has helped you to understand what ski accommodation you are looking for, however, if you are still a bit unsure, get in contact with one of our holiday experts or simply search our website below! Next articleLooking For A Quality Powder Ski Resort? French Ski Food You Must Try | With Recipes!